While I love luxurious skincare products, I also love finding budget-friendly products that work for my family's sensitive skin. 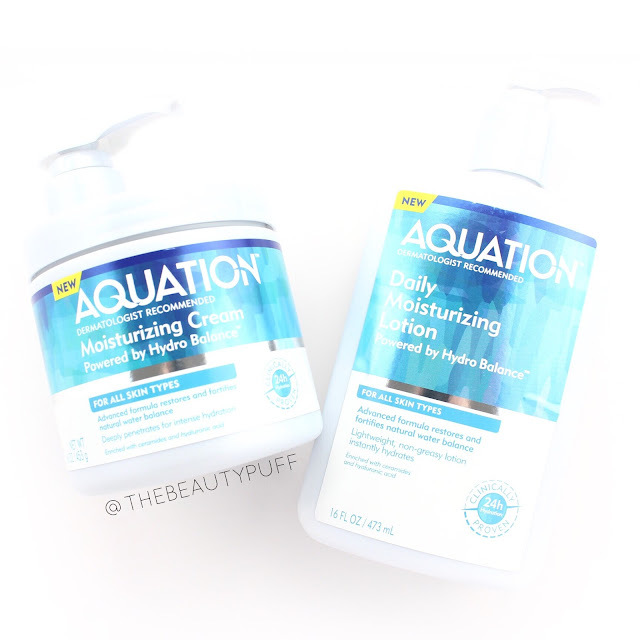 Aquation can be found right at your local Walmart and their line is free of parabens, petrolatum, and fragrances. I've been loving its gentle, yet effective formula to rejuvenate my skin for spring! Cleansers | The first step in a great skincare routine is a fabulous cleanser. Aquation has cleansers suitable for your body as well as your face. They contain hyaluronic acid, ceramides and marine algae which helps to keep skin hydrated and smooth. The Hydrating Cleansing Bar has a gentle, moisturizing formula that rids the skin of everyday dirt and oil as well as makeup. It lathers really well and rinses away completely so my skin feels refreshed and hydrated without soapy residue. Plus, this soap is 4.5 oz which is .5 oz larger than the previous bar soap I had been purchasing. 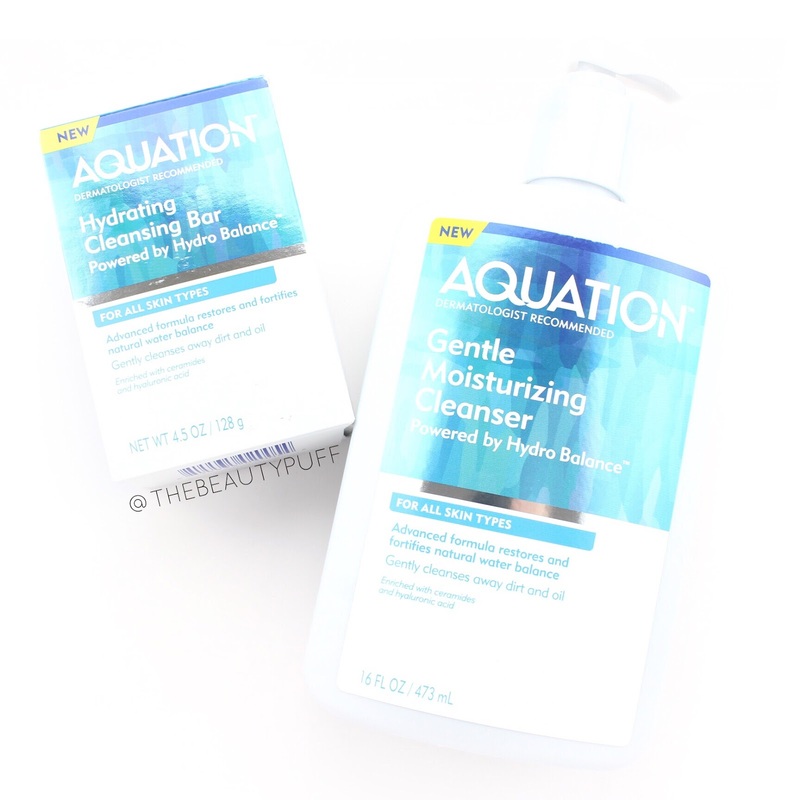 If you prefer liquid cleansers, you'll love the Gentle Moisturizing Cleanser. I use this soap daily to cleanse my face and it's so soothing! My skin feels refreshed and moisturized without feeling tight and uncomfortable. Plus, it's great at removing makeup. (Side note - I do not use this to remove waterproof mascara. I would always use a makeup remover to help with that!). I keep both these cleansers in my shower so my husband and I can both enjoy them. I love finding things we both like! Lotions | After every good cleanser, there must be moisturization! Both of these lotions have hyaluronic acid, ceramides and marine algae just like the cleansers. For lighter hydration, I use the Daily Moisturizing Lotion. This lotion has a silky texture that absorbs quickly without leaving residue on the skin. Especially as we head into the warmer months, that's something I definitely appreciate! You could use this lotion on your face as well, but I personally like it as a body lotion. For more intensive hydration, you'll love the Moisturizing Cream. This formula has a richer consistency and is perfect for particularly dry areas. I've been loving this for my legs so they get as smooth as possible. You can't go wrong with either of these formulas, I honestly love them both. And yes, I keep them out so my husband can enjoy them too! There's no scent so there's no worry about appealing to someone's taste - they just have to want smooth, moisturized skin. You can find Aquation on Amazon, Walmart.com and Aquation's website below. Be sure to print your coupon for $2.50 off!